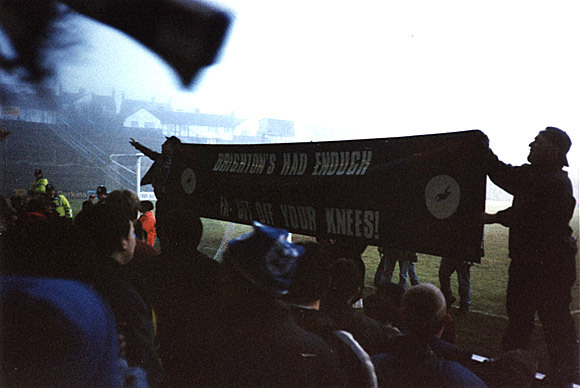 Brighton ‘Fans United,’ Feb 1997: a proper football protest! Worth a repost (with new photos!) 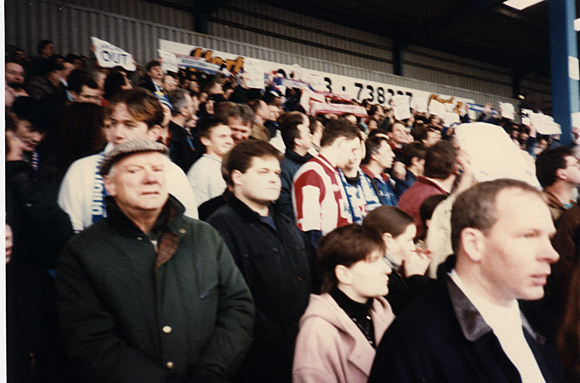 is this account of our trip to the Goldstone Ground in Brighton, 8th February 1997. At the time, Brighton & Hove Albion were deep in financial trouble, with directors Archer, Stanley and Bellotti enraging fans by doing a deal to sell the Goldstone Ground off while having no acceptable plans to relocate the club to a new stadium. 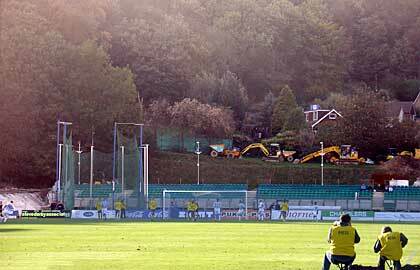 Home games in 1996/97 were played amidst a funereal atmosphere with Bellotti, who always attended, and Archer, who never attended, the subject of the most vehement mass protest. 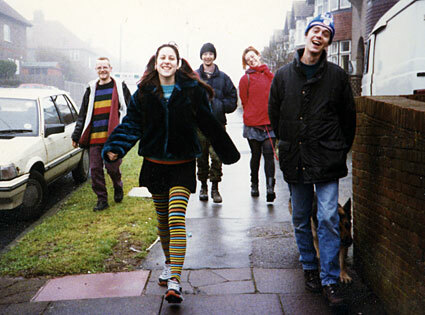 The demonstrations – never violent – were carried across the country in an inspired campaign that included a rally outside Archer’s home in Lancashire; marches through Brighton, Hove and London; and petitions to the F.A. and the Crewe headquarters of Focus, Archer’s DIY company. 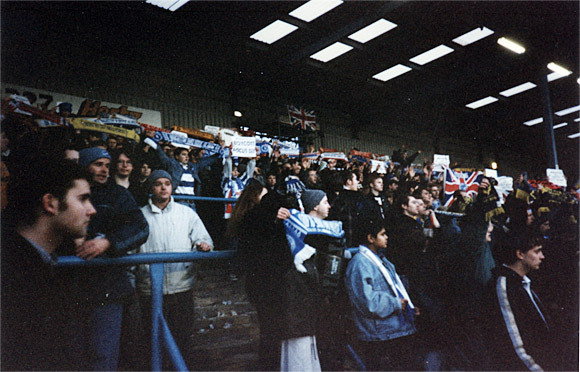 The boycott of a game against Mansfield Town saw an official attendance of just 1,933 spectators — until demonstrators invaded the East Terrace and West Stand at half time, forcing Bellotti to leave. 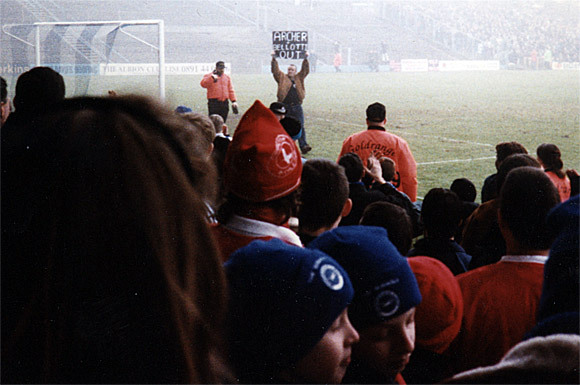 In the autumn of 1996, Albion fans took less interest in the form of their team – which was dreadful – than in the protests. Anarchy reigned, and the hated Bellotti was driven out of the Goldstone on several occasions. But an entrenched Board carried on regardless, and when the ground-sharing arrangement with Portsmouth fell through the club agreed a deal instead with Gillingham, even further away. With the prospect of the club going under for good, a “Fans United” day was organised, inviting fans from other teams to come down to show solidarity with Brighton’s plight at their home game against fellow strugglers, Hartlepool United. 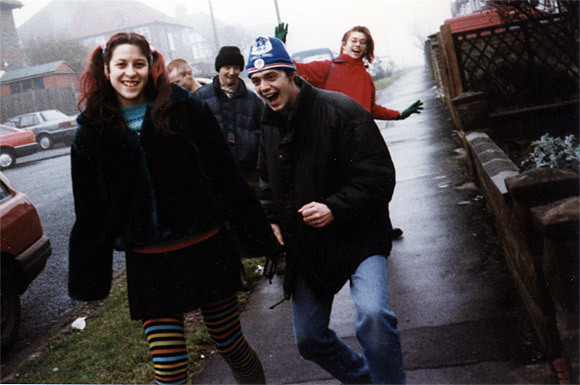 I went along with this motley crew above, featuring a few of the folks from Brighton’s excellent activist website, SchNEWS – we’d become rather jolly bedfellows a few years previously as a result of my involvement with the Football Fans Against The Criminal Justice Act campaign. 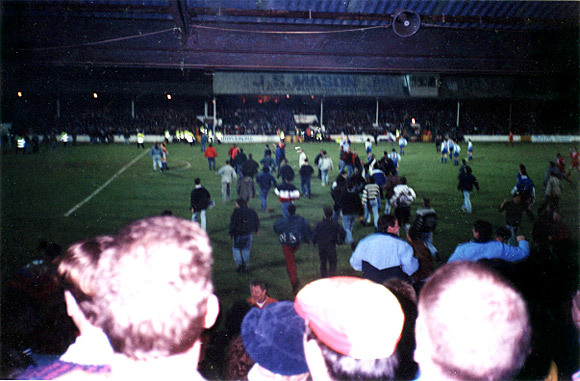 Thousands of fans from different teams turned up brandishing their club colours – I was there with my Cardiff City scarf and hat – and the atmosphere proved invigorating for the Brighton players who responded to the terrace love by thumping Hartlepool 5-0. Although it’s great to see how so many fans came out to support a struggling club back in the day, the spectre of financial collapse, dodgy deals and asset-stripping chairmen continues to haunt British football. 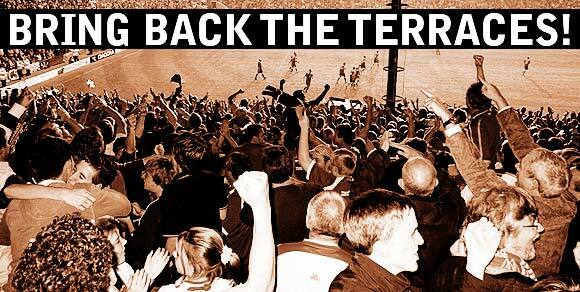 Lets all support fellow football fans in their fight against THEIR clubs being asset stripped and dismantled, separating the club from the land it stands on (as in Portsmouth FC) The FANS are the lifeblood of any football club and should be heard.